Perhaps you’ve been toying with the idea of going to marriage counseling, but it’s not like you or your partner are fighting, or have had a huge blow up. Are there benefits to couples who seem to be doing all right together but want a little more from their marriage? Yes, of course. According to South Orange County Marriage Counseling, serving the Orange County area, marriage counseling assists both parties in getting what they need from their primary relationship. Therefore, marriage counseling is not only for couples that are experiencing a crisis. (Although, often that is the final push that gets them through a counselor’s door.) The danger to leaving counseling to the last minute is thatsmall issues can grow disproportionately large. Counseling is also for couples who simply want to fine-tune aspects of their relationship. Here are some other benefits to marriage counseling that can help you determine if it is right for you. Learn how to get what you need. The ideal marriage should provide emotional and physical support on both sides. If only one person is having their needs met, this creates an imbalance that can fuel feelings of resentment down the line. Perhaps the partner who isn’t getting his or her needs met is not a good communicator, or does not want to come across as selfish or self-centered. Marriage counseling provides a safe space to discuss both parties’ needs openly and honestly. Not only do couples get a chance to state their needs, but they also learn communication skills and how to be assertive. These are skills that they can use even after counseling is over. Is there a difficult conversation you know you should have with your partner, but you do not know how to bring it up in a productive manner? Either you or your partner gets too emotional when the subject comes up, so the issue remains undiscussed and is left on the backburner? Unresolved issues may include discussions on finances, past infidelity, addictions, health problems, etc. Going to a counselor can provide you both with a means of addressing issues that you want to talk about, but which youdo not know how to broach. Get a safe place to vent. Couples with children may find it increasingly difficult to hash out problems without little ears taking it all in. When parents fight or seem to be raising their voices to each other, this can be emotionally damaging to observant children. A researcher from Notre Dame University likened children to emotional Geiger counters. Children want to know that they are safe and that their family is secure. When they see anything that appears to be threatening that safety, this can damage their emotional development. They may withdraw or show other signs of worry. Having a place away from the presence of your children where you both can vent will keep issues and emotions from festering. While at the same time, going to counseling can keep your children safe from whatever you and your partner are working through. Renew your love for your spouse. If you begin to wonder why you got married in the first place, marriage counseling can help you rediscover your love for your spouse. Additionally, going to a marriage counselor can provide you with a new perspective on your spouse. 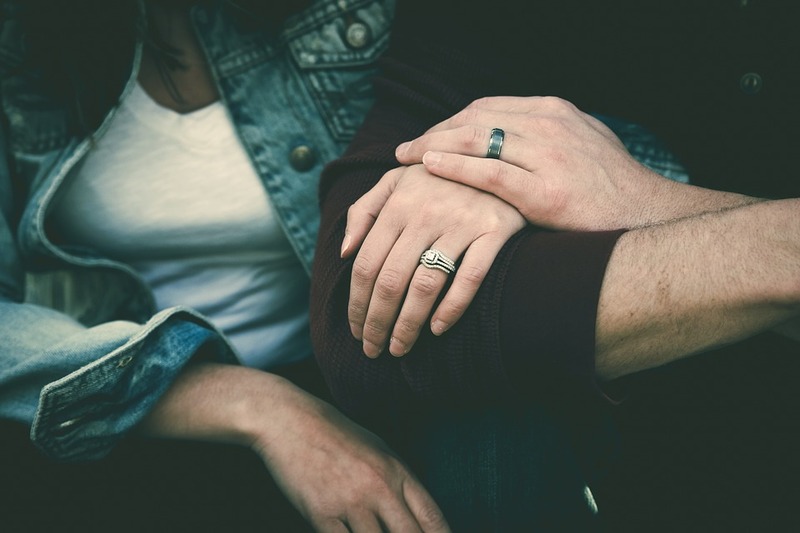 Everyday life can often get in the way of taking the time to understand your spouse and his or her needs, which is a part of keeping any relationship alive. Having a time and place where you listen to your spouse’s words can provide you with a window into their thoughts. In today’s multitasking world, it can be hard to give yourself to only listening to each other. This extra time spent listening to each other will go far to bolster your marriage and give you both the feeling of being heard.